Earlier this year, Microsoft launched their lower cost, smaller Surface Go. 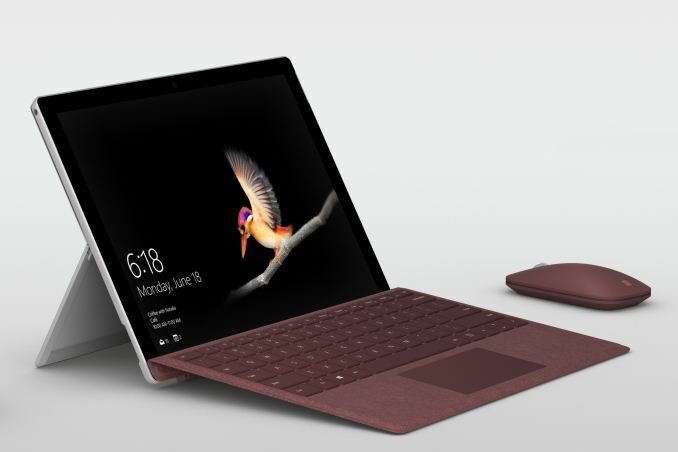 With a display size of 10 inches, and weighing 1.15 lbs, or 515 grams, it’s a more portable version of the popular Surface Pro. Today Microsoft is announcing a new LTE variant for those that want to use the convertible PC even more on the go. The Surface Go has been paired with the Qualcomm X16 modem, which is the same modem they used in the Surface Pro LTE. The new Surface Go LTE is available for pre-order now, starting at $679, which is a $130 increase over the same 8 GB / 128 GB Wi-Fi model, or $729 for commercial customers which will probably mean a bump up to Windows 10 Pro. The new model will be available in 23 markets by November 22, and more are coming after that. I would argue bitlocker is essential on ANY mobile device. Any IT dept with its head on straight requires Windows Pro for any device management, domain or otherwise. Hosted exchange / Office365 offer device management and policy options only available to Pro versions of Windows. Except with todays solid storage, Bitlocker is useless as it automatically tags it as a trusted device, when latest reports say most solid storage encryption is either non-fucntional or easy to break.